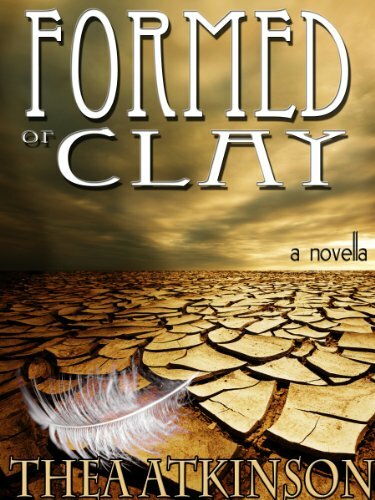 Today I have Thea Atkinson, author of Formed of Clay, here to talk about penning. When I’m writing, I definitely have a routine. It includes a variety of things like checking my email, procrastinating on twitter, loading some music, creeping around on Facebook, and then finally taking a deep breath and diving in. Inevitably, I have to go out to Google for some research, but usually I write freefall for about an hour before I let myself play around again. If I can get to 2000 words in one day, I stop. I know what it’s like to ‘drain the well’ and I try not to do that. Ever book is different, but with Formed of Clay, it took about 3 months to write and about 3 months to edit. I try to spend as much time in the editing stage as the first draft stage because I know how important it is. I love Egyptian history and mythology so it’s not like research to me. I did a lot of it though. Televesion documentaries and Internet research where top of the list. For example, I spent a few days reading up on the mythology and got so lost in it I just wanted to keep researching. Egyptian mythology is so complex and fascinating. The convolutions are really neat. Hmm. Good question. Very little sometimes. For Formed of Clay, I had to do some barebones stuff for the characters because they show up again in other novels (I’m planning a series) and I need them and their stories to be consistent. I’m kind of fascinated with the possibility of reincarnation and it’s a theme that comes up in my work sometimes. This series especially. My favorite part is being done. Really. I love to write, but I’m always so eager to see the whole thing that the entire tale in full is my favorite part. I want to see how it comes out the same as a reader. YES. I never jump around. I’ve found that if I’m blocked, I have to power through the things I don’t want to write: the drudgery scenes if you will, without rushing off to a scene that I want to write. If I only write the things I’m stoked to, it takes all the energy away and I don’t want to go back to the hard parts. I use the upcoming scenes that I want to write as rewards for doing the hard work, if that makes sense. It works for me and I counsel many new writers to do the same. Many people have a hard time committing to completing a novel, and often it’s because they write the scenes that inspired/prompted the idea of the story in the first place. Those that do that, often discover they can’t write the rest, and it’s because they’ve exhausted the inspiration. I find holding off on that actually makes the writing sweeter. Thea Atkinson is a writer of character driven fiction; call it what you will: she prefers to describe her work as psychological thrillers with a distinct literary flavour. As in her bestselling novel, Anomaly, her characters often find themselves in the darker edges of their own spirits but manage to find the light they seek. 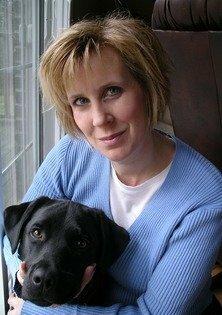 She has been an editor, a freelancer, and a teacher, but fiction is her passion. She now blogs and writes and twitters. Not necessarily in that order. Author interviews are a favorite of mine. This one is great. Thanks.